Most marketers are familiar only with one kind of offer, which is an offer to buy something. However, there is also another kind of offer. This type of offer is a lead generation offer. Such offers don’t ask people to buy something. Instead, they ask people to raise a hand and identify themselves as being interested in something. An example of such an offer would be an opt-in box on a website inviting users to sign up for a newsletter. When someone enters their email in that box, you know that the person is interested in what the business is selling. There are many ways to use lead generation offers. For example, you can offer a free ebook or guide on a subject and then run a targeted sale only for people who request the guide. This way, you are matching the sale to the target market, so your conversions are going to be higher compared to sending the same offer to all your app users. Sending individual and targeted offers to app users has yet another advantage. This advantage is that not all users will be seeing your promotions all the time. The problem with running a lot of promotions for your entire list of users is that promotions can ruin good customers. If a customer receives email after email about a sale, he or she will decide that your products or services aren’t ultimately worth the sticker price. Because of this, such a customer will not buy at your regular prices and will be waiting for a sale instead. 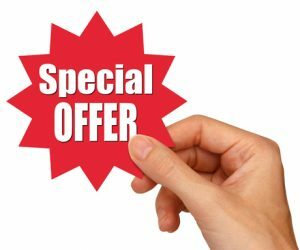 When you run lead generation offers and create special offers for segments of your user base, you will not get your users into the habit of buying only when something is on sale because your sale events will stay hidden from the majority of your users.